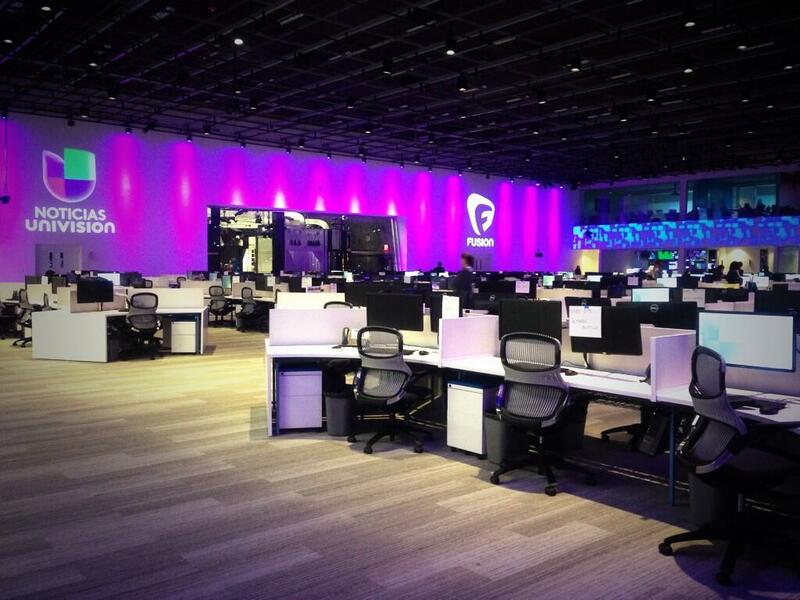 Have you heard about Fusion, the new ABC/Univision joint-venture? Yes, we really work here. What is Fusion, you ask? Well, let me fill you in! Fusion is a new, 24-hour (multi-platform) news channel aimed at English-speaking Hispanic and Latino Americans and millennials. Fusion’s mission is to champion a smart, diverse and inclusive America. I recently (last week) became the East Coast-based National Affairs Correspondent and am responsible for telling the stories of people, events and issues which are shaping America, today and tomorrow. In fact, my first piece on Native fashion at New York Fashion Week went live on the web last week. I joined Fusion to do exactly what the job description said: Make sense of the news by producing reported stories, opinion columns, and curated posts which provide insight and context to notions of leadership, justice & equality, culture, modern life, and the American Dream as present in stories about politics, social mobility, race, identity and multiculturalism. From technology, food, media, pop culture and celebrity to immigration and entrepreneurship, I cover what matters to Latinos and millennials. And, once we launch our TV programming (October 28th), I will provide live, on-air commentaries, sometimes at a moment’s notice. Until the end of October, you can find out stories at http://abcnews.go.com/ABC_Univision/ and via our Twitter feed: @ThisisFusion. I tweet daily, so if you use Twitter, please follow me @AmyStretten. I would love to stay connected with you! If you read this blog post, shout me out! Or, re-tweet the post! And, as my Mom says, go on and BE a great day!